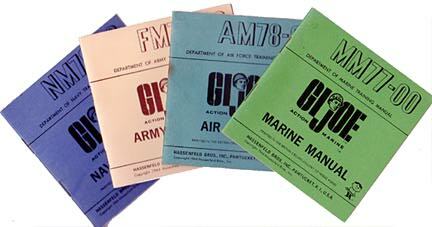 Most GIjOE ephemera collections began with the first four service manuals printed in the 1960s. 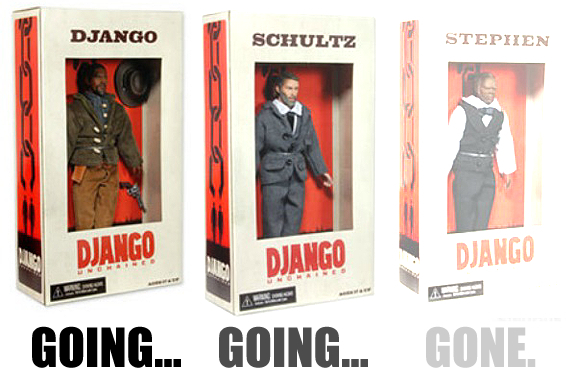 Included with each figure and most of the equipment sets, collectors soon had multiple copies. (Courtesy: Robert Findlay Collection) Click to enlarge. You had it—And threw it away. 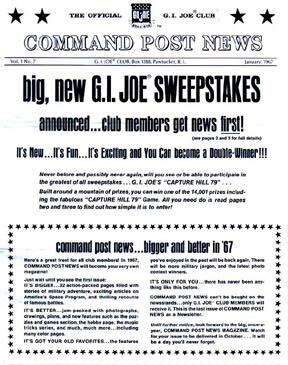 An often overlooked aspect of GIjOE collecting is the accumulation of Joe-related paper materials, also referred to as “ephemera.” Somewhat different from amassing a collection of books (see previous article HERE), this category of collecting includes a variety of “lesser” paper goods such as product brochures, instruction sheets, club newsletters, magazines, comic book ads, catalogs, posters, print advertisements, etc.—wherever GIjOE has appeared in printed form. 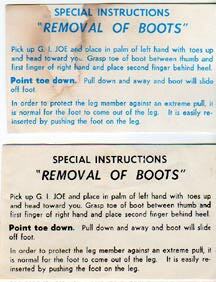 Also included with most figures, the ubiquitous “Boot Removal Sheets” came in different sizes and colors, providing helpful tips for removing stubborn footwear. Do YOU have a copy of the rare blue version? 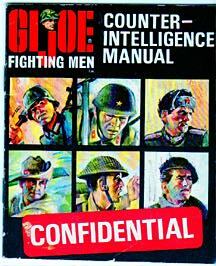 Let’s begin by admitting there’s NO WAY for any one person to know everything about GIjOE ephemera. As its name implies, most of it was intended only for short-term use, before being thrown away and forgotten. The reality is there’s simply been too many products created over too many years, in too many languages (and variations) to know about them all. 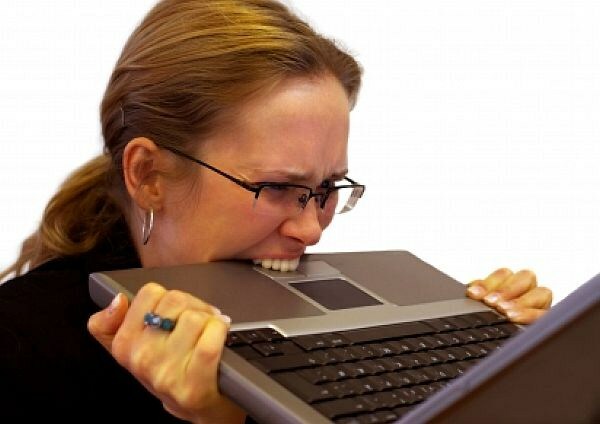 “Lost” items are constantly discovered by collectors. It’s AMAZING how much material is out there! 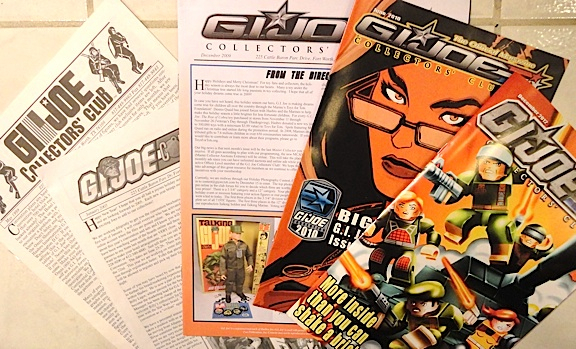 Our goal in this article will simply be to discuss the more familiar examples of GIjOE ephemera; their origins, rarity and importance. From there, we’ll open the floor up to YOU, our readers, in hopes that you will suggest your own unique ephemera findings and/or their previously unknown variations. 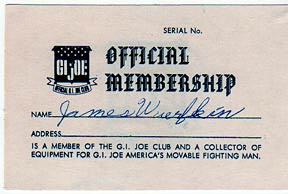 Fans of “Golden Age” ’60s and ’70s GIjOEs all began their ephemera collections as children. 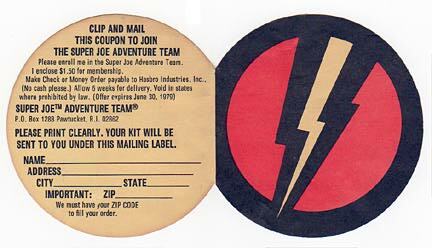 Instruction sheets, service manuals and GijOE club newsletters were regularly provided by Hasbro during those heady early years, and from 1964 to 1978, it was difficult NOT to accumulate a wide variety of printed Joe materials. 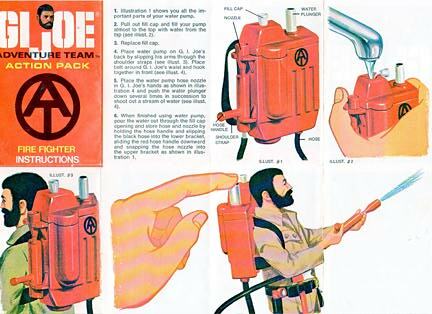 Fans who came of age during the “Silver Age” of the ’80s and ’90s (aka the “Classic Collection and RAH Era”) enjoyed another avalanche of new products and related ephemera. 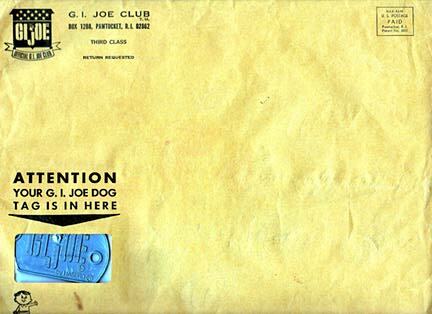 The next piece most fans added to their “Joe ephemera” collection (or used and mailed away) was most likely the club membership brochure. Note its many sizes and subtle variations. (Courtesy: Robert Findlay Collectiion) Click to enlarge. 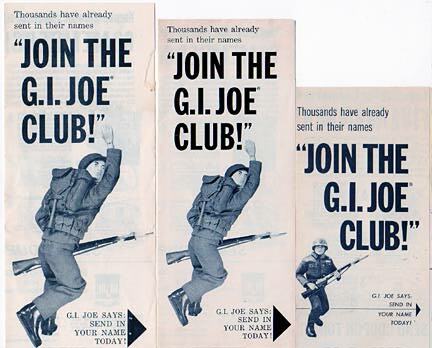 During both periods, ephemera-collecting fans will remember leafing through the full-color ads of their Sunday paper and coming across new GIjOE “store exclusives” advertised in Sears, JCPenney, Target or Walmart inserts. “I’m gunna keep this!” you may have wisely decided; perhaps if only to remind yourself to make a quick “Joe Run” later in the week. Then, months later, long after the advertisement’s usefulness had expired, instead of throwing it out, you decided to KEEP that piece of flimsy newsprint. 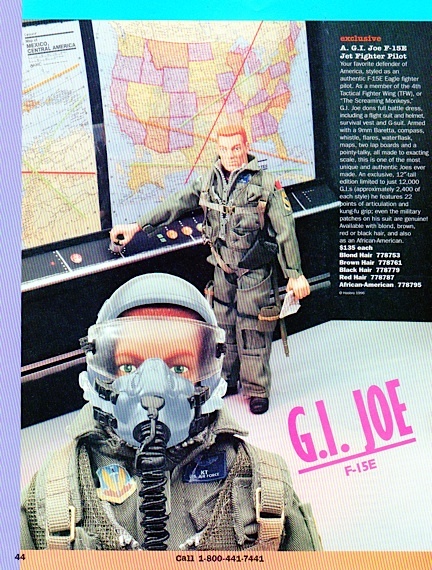 Years later, those old ad are some of the rarest examples of GIjOE ephemera. If you saved them… Smooth move, EX-LAX! 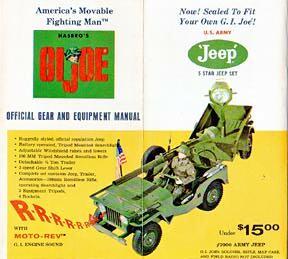 Hasbro wisely inserted attractive, full-color product brochures into many packages to encourage future sales. Always a pleasant surprise, many kids would unfold them and tack them up as posters. (Courtesy: Robert Findlay Collection). 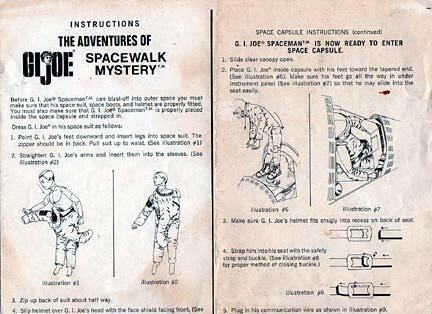 Once a collector realizes all those little pieces of paper are a bona fide part of GIjOE’s “history,” it becomes a simple matter to get caught up searching for them. 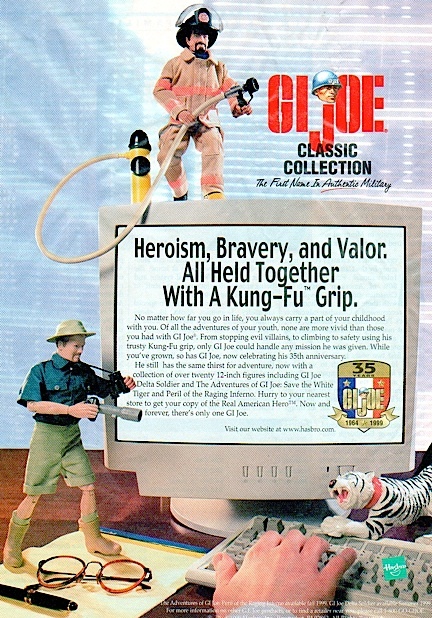 In no time at all, you find yourself scrapbooking every GIjOE ad, catalog, and brochure you can lay your hands on. 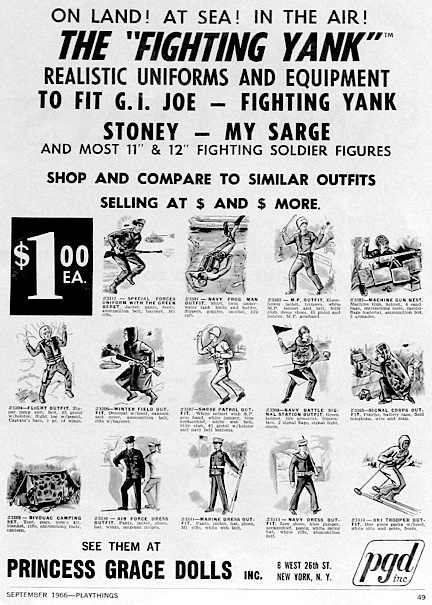 Foreign-based Joes such as Action Man, Geyperman and Action Joe are suddenly fair game. Some ephemera collectors even compile notebooks full of ’80s RAH trading cards and backing data sheets. It’s amazing what people will collect, store and archive. 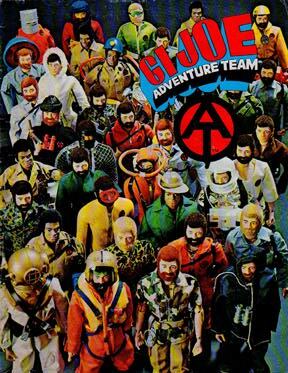 The Adventure Team era also saw an increase in the production of GIjOE mini-comics. Kids read these so many times, they wore them out! Reprints are now available, but original copies in good condition are scarce. 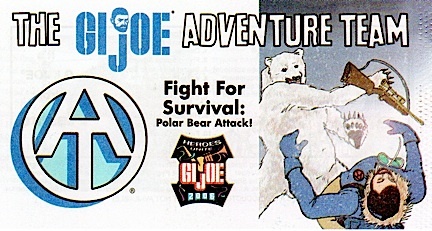 Convention exclusives also come with their own unique GIjOE ephemera, such as this superb mini-comic featuring artwork by Scott McCullar. 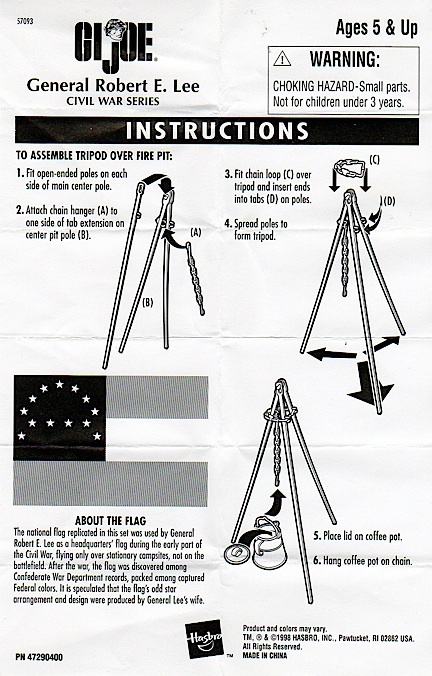 Small instruction sheets have always been regular casualties of the recycling bin, but many are even educational. This one contained history of the confederate flag included with the Robert E. Lee figure. 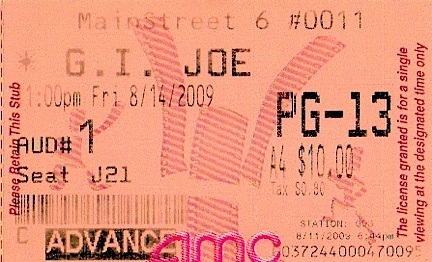 Yes, even tiny items such as this ticket stub to a GIjOE movie, can be considered as collectible Joe ephemera. Do YOU have one? 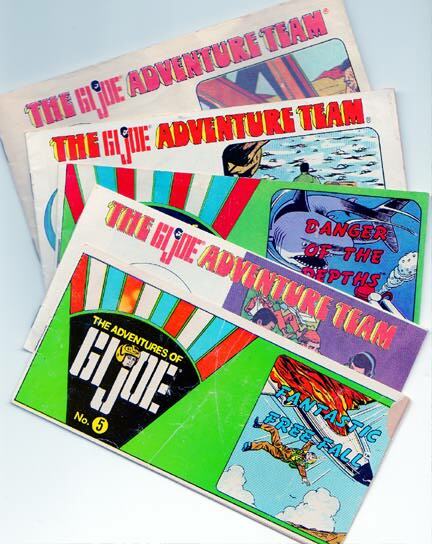 We can hear you now…”What about all those Andy and George comic book ads from the 1960s? And how about those ‘Your Mom Threw Them Away’ types of posters?” Yes we know there are MANY more pieces of Joe ephemera out there. Much more than we could ever hope to list here. 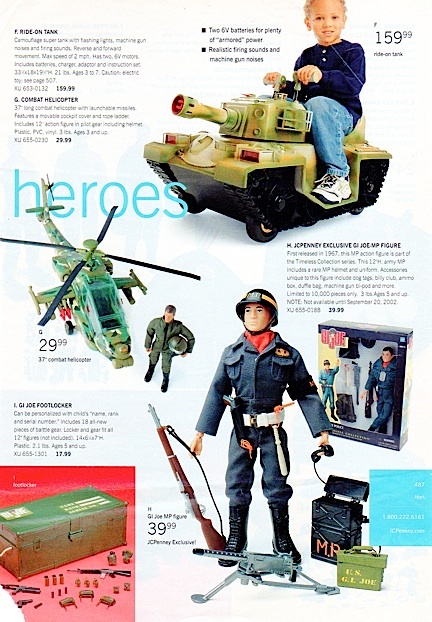 If you’re interested in joining the search, you can find photos of a multitude of other pieces in various price guides and GIjOE books, but none of them are ever going to be 100% complete. It’s simply impossible for any one source to show them all! 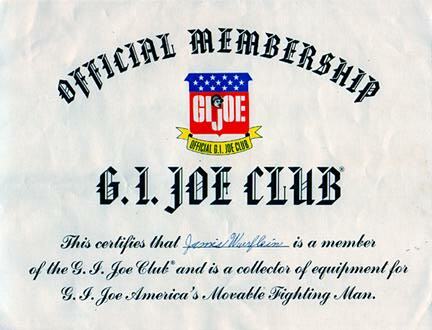 Well then, you may ask, where does GIjOE ephemera collecting end? It doesn’t! But if the producers of TV’s “Hoarders” ever ring your doorbell, peer in your windows, and see a 10-foot high pile of precariously balanced Joe papers in your livingroom…it may be time for you to slow down a bit. 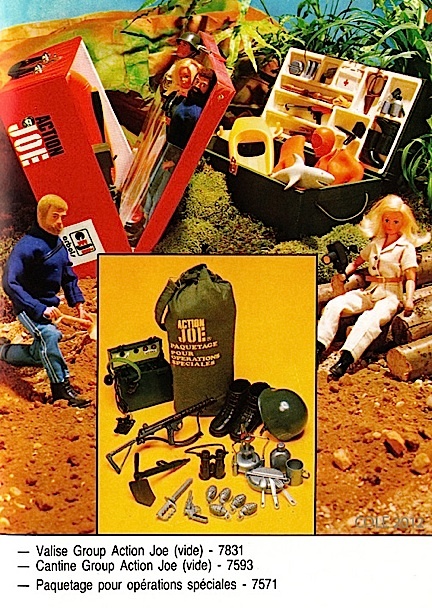 Bottom Line: GIjOE ephemera may be trashed, but it will NEVER be forgotten, thanks to the borderline-hoarding nature of many GIjOE collectors. 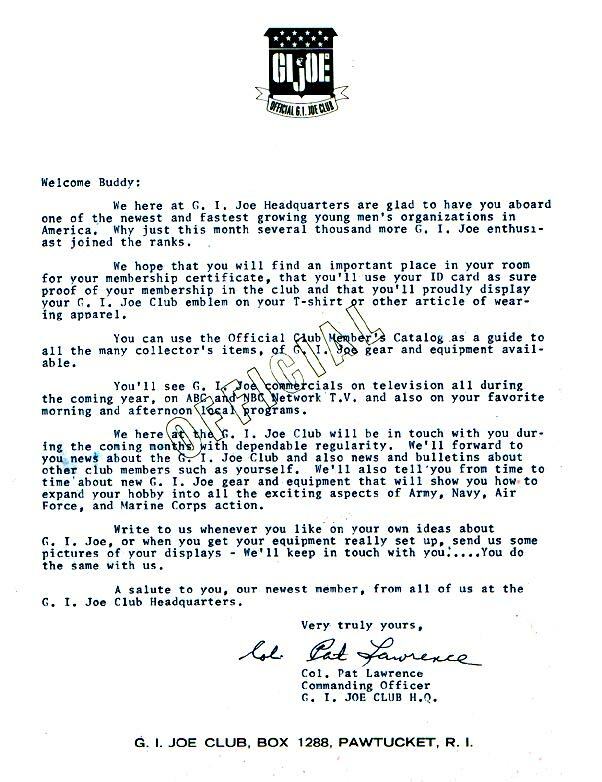 If you think of any more categories or unique examples of “Joe papers,” please leave a comment here on The Joe Report for other collectors to read. Who knows? 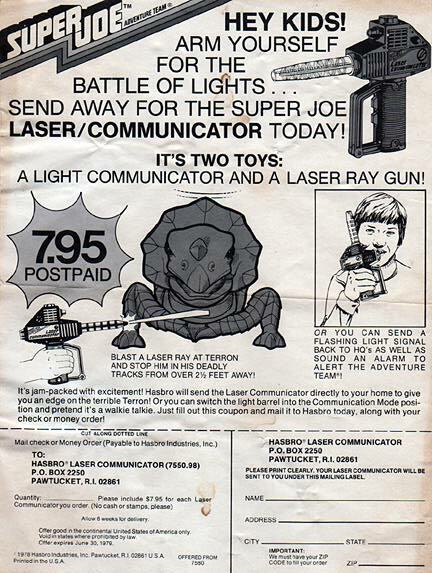 Your tip may lead to the next great GIjOE ephemera discovery! 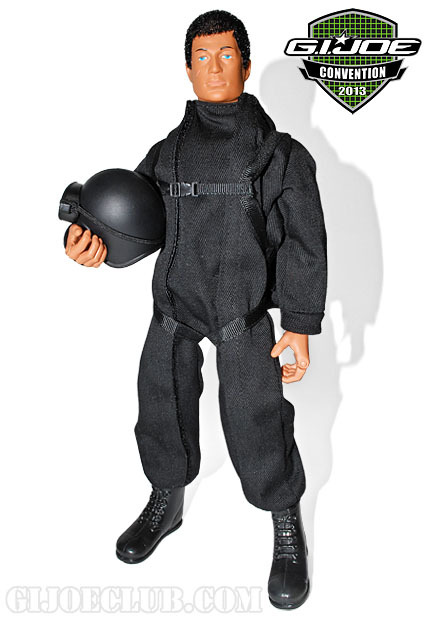 Man of Action in his “Stealth Jumpsuit” from the upcoming “Secret Mission to Dragon Island” JoeCon 2013 exclusive. (Photo: GIJCC) Click to enlarge. 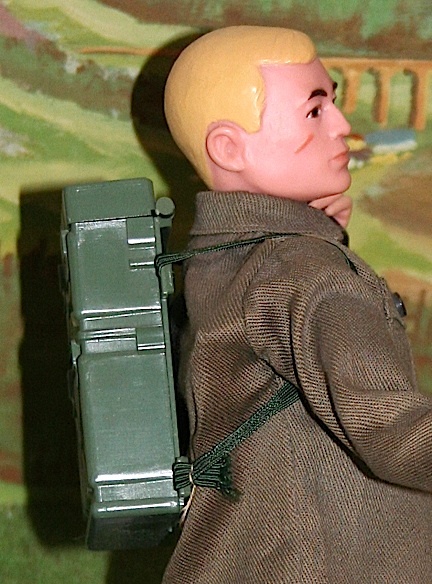 It’s highly unusual for a 12″ GIjOE figure to be given a complete name and identity. But meet “Mr. 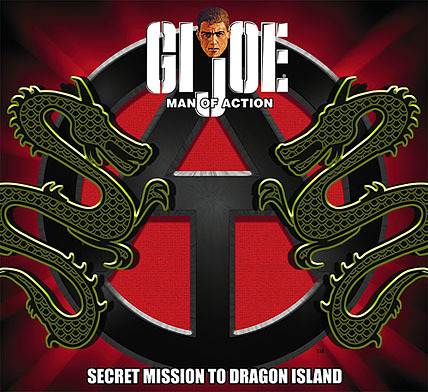 Sebastian Gorman, CEO of Terron Industries,” the obvious bad guy of the 2-figure “Secret Mission to Dragon Island” exclusive. (Photo: GIJCC) Click to enlarge. In apparent retaliation for yesterday’s “preemptive strike” by the organizers of Joelanta, the GIjOE Collector’s Club has just released TWO intriguing “sneak pics” of their own. 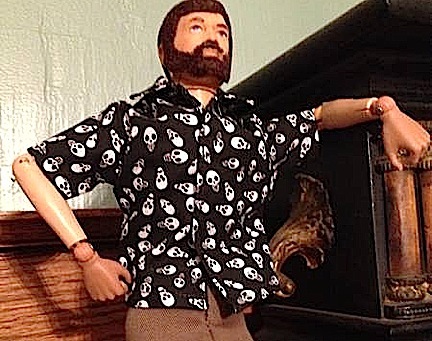 The club’s upcoming convention exclusive for collectors of 12″ figures has been called “Secret Mission to Dragon Island,” and the new photos reveal the names, headsculpts and basic outfits of the two-figure set. Bottom Line: Fasten your seatbelts, Joeheads. 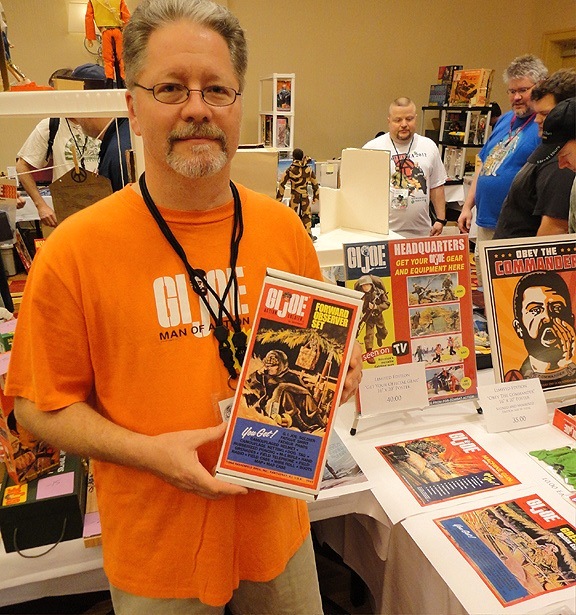 As this year’s “Battle of the Joe Cons” continues, we have no doubt the good folks at Joelanta and JoeCon Indy will be pulling out all the stops to create the best sets—with fans being the winners! Sneak Pic of Joelanta 2013 Exclusive Released! Bottom Line: Past Joelanta exclusives have always been very popular, but are produced in limited quantities, so if you want to “lock yours down,” we recommend you jump over to THIS PAGE NOW. Will it turn out to be some sort of “Alien Adventurer?” Stay tuned! Further intel coming soon! The Joe Report Reaches Another Milestone! WOW! You’re blowing our minds here at The Joe Report! In less than a year, we’ve received over 100,000 “views,” averaging over 400 per DAY. Thanks again to everyone who enjoys reading TJR, and for making it such a success. You’re all the BEST! Closeup examination of the five figures confirmed that they are indeed vintage 1960s GIjOEs with authentic uniforms and equipment. 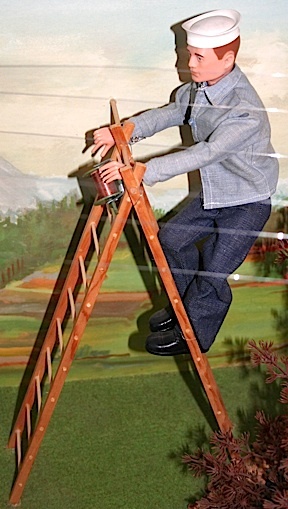 However, some of the props, such as the telephone pole with wires, and this fragile-looking wooden ladder, are clearly handmade, non-Hasbro items. Was it built to be a toy “FAIR,” toy “SHOW,” or toy “STORE” display? That is the important, defining question. 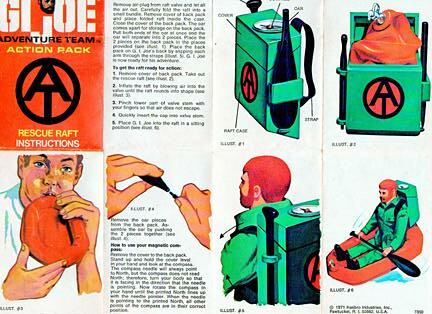 The answer, which may never be substantively proven without official Hasbro documentation or first-person, “I built it” testimony, makes a world of difference in the value of a recently uncovered, somewhat offbeat, one-of-a-kind GIjOE collectible. 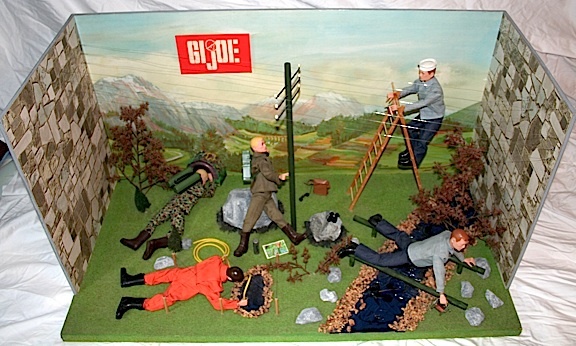 The item in question is a GIjOE figure display or “diorama,” built to show five GIjOEs in various action poses. It contains one each of the four original figures, plus an extra sailor who has been assigned “Signalman” duty (as a SeaBee?) repairing a telephone line. 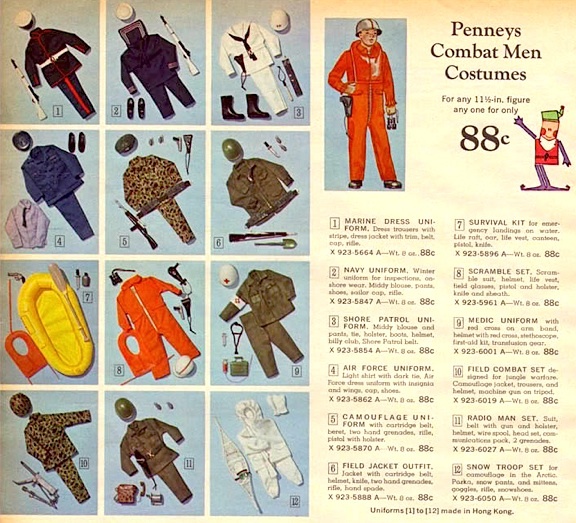 By most accounts, fans and collectors seem to agree that this is indeed a vintage, 1960s-era display (of some type), and that closeup analysis of the figures confirm they are vintage 60s types and that their uniforms are of vintage 60s production. The display itself is undoubtedly a handcrafted construction made out of old materials including wood, wire, a printed backdrop, and assorted other items. No modern materials (made later than 1965) appear to be present. WOW. Now we were getting somewhere! But “no written documentation?” That’s not good. Without some sort of official verification from Hasbro or a trusted Hasbro employee, $10,000 would definitely be an unrealistic price for this item. But… It is a unique display. And it is old. And it does feature 5 very minty, vintage GIjOEs! Clearly then, it’s worth something—but not even close to $10K. 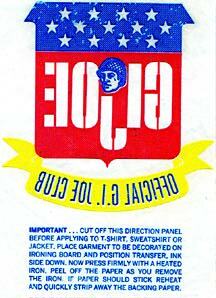 Most GIjOE collectors will instantly spot the problems with this logo. (Photo: Chris Voegelin) Click to enlarge. “I found an auction that claims to be a 1965 Hasbro Toy Fair Display. I’m not saying it is or isn’t, but I am curious what other collectors think about it. I’m most curious about the logo. It’s no G.I. 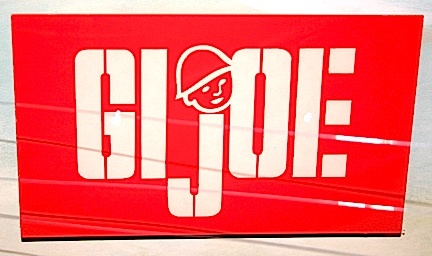 Joe logo that I’ve ever seen, but I could see it as one that Hasbro might have considered. I find it most curious that it does not have any trade mark or copyright indicated. Other things I find odd: Why 5 Joe’s instead of 4? Why are only 3 hair colors represented? Why are 3 of them laying down, rather than upright and dynamic? All things considered, there’s not a lot of accessories either. For being in the military, they sure are doing mundane things. 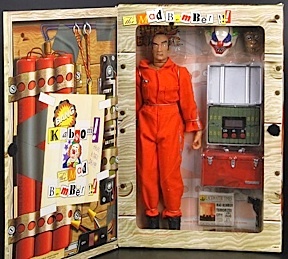 “I can say with absolute certainty that the display shown was not the 64 toy fair display. How do I know? I had this discussion with Sam Speers at one of the Joe Cons, RI I think. At the Con, I asked Sam about the display. 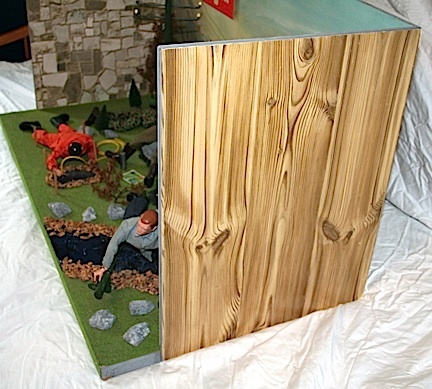 He said it was a huge display, about 8′ x 12′ and had at least 25 – 30 figures on it. 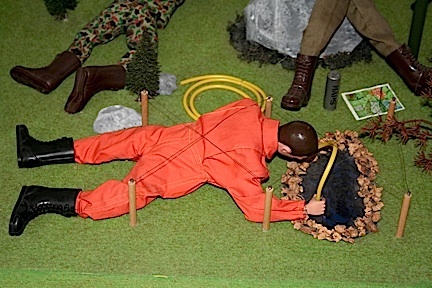 They were set up in poses based on some of the info in the military’s actual training manuals. He even mentions some of the details in a letter in one of the reference books that has been published. That is why I asked him when we visited, because the book said he spearheaded the project for the fair. They even used real large rocks, dirt, etc. from his yard in the display. 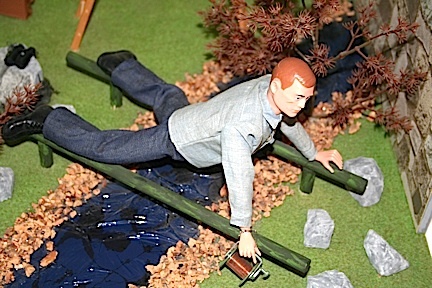 He said they wanted it to be as realistic as possible to how a boy would play in the yard with Joe. Even without that personal knowledge and conversation I would have said that it probably wasn’t it. 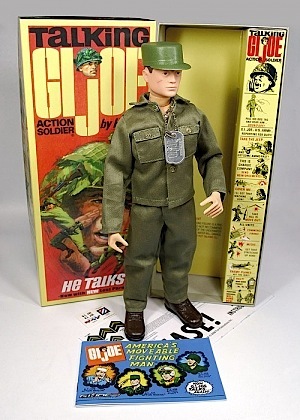 The logo head is some kind of cartoon and if you look at all the prototypes Hasbro did back in the day the logo always has the soldier or marine head in the words, even when hand painted, never some kooky looking cartoon image. An odd pose for a flame-throwing Marine. 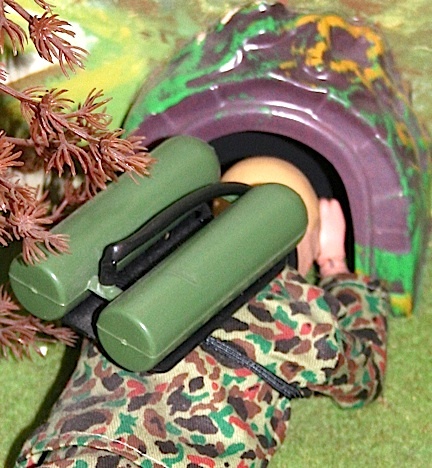 Perhaps he’s a “Tunnel Rat” in Vietnam? Also note his center tank is missing. (Photo: Chris Voegelin) Click to enlarge. Bottom Line: There is little doubt that the famous (and very large) 1964 Toy Fair display was disassembled and trashed after the show and is therefore lost to fans forever. It is also CONCEIVABLE that for the 1965 Toy Fair, Hasbro decided to utilize smaller, more manageable tabletop displays such as this one. But this one’s odd logo, poorly posed figures and overall amateurish construction make it a long shot that it had ever been produced by Hasbro. MOST LIKELY, this display was created by an “artistic someone” working for an east coast “brick-n-mortar” toy store for use in a display window. But for now, the mystery lives on. If you’re interested in purchasing this unusual display, Chris is still accepting offers and you can reach him HERE. 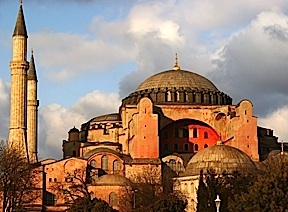 The Hagia Sophia Museum in Istanbul, Turkey is indeed beautiful. Originally built by the Romans as a Christian church, it was later used as an Islamic mosque and is now a secular museum. It has recently been learned that copying any part of its architectural styling is considered to be racist by the Turkish Cultural Community of Austria. 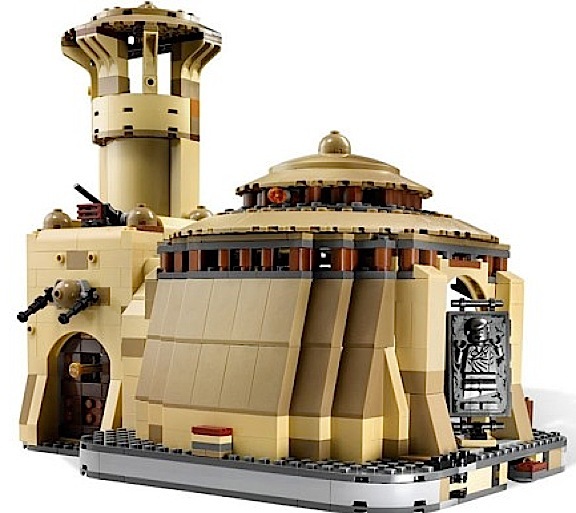 “Lego has been accused of racism by the Turkish community over a Star Wars model that supposedly resembles one of Istanbul’s most revered mosques. 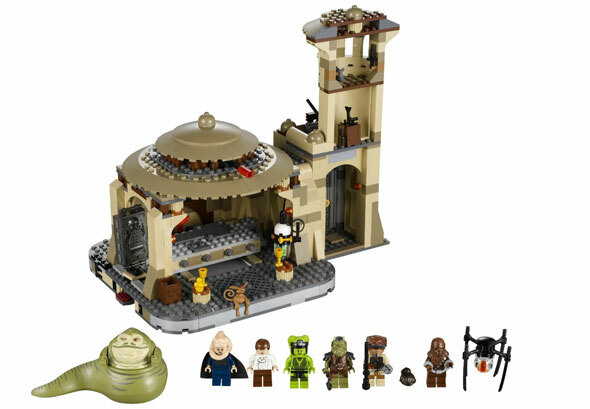 The anger was provoked by “Jabba’s Palace”, a model from Lego’s Star Wars product range based on the series of Star Wars films. If you wanted to know more about the upcoming JoeCon 2013 before deciding whether or not to attend, a recent club press release detailing the convention’s entire schedule of activities, special guests and exclusive figure sets is now available in one convenient PDF file that you can download from their website. 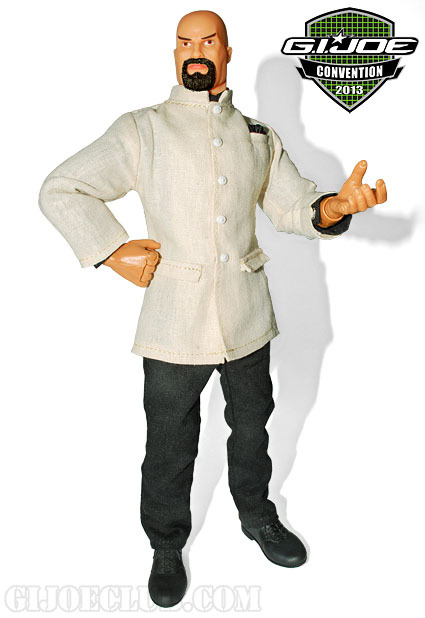 Included in this 12” two figure set: Super Articulated G.I. 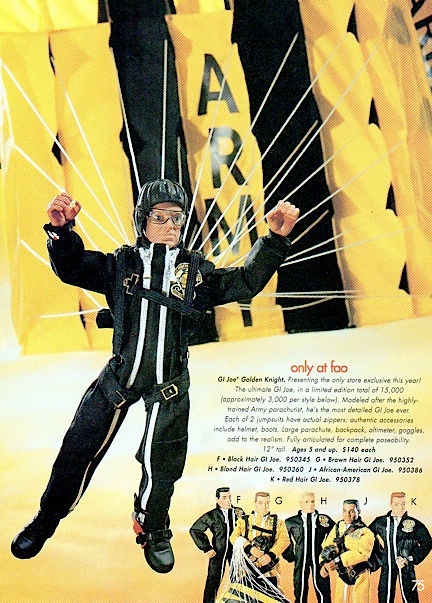 Joe; Stealth Jumpsuit, Jump Helmet; Jump Goggles; Jump Boots; Parachute and Pack; Tuxedo Jacket, Tuxedo Pants; Dress Shirt; Bow Tie and Cumberbund; Dress Shoes; Disguise; Chemical Vial and Pistol. WOW! This sounds like a KILLER set! A Nehru Jacket? Chemical Suit Hoods? A Tuxedo? Holy, Jame Bond! Just imagine what the box art must look like. We can’t wait to see some pics of this one! Includes: Charbroil, Hit & Run, Muskrat, Psyche-Out, Repeater and Spearhead with Max (NEW Bobcat). The Cobra Demolitions Team is ready to take on any obstacle that gets in their path of destruction. Led by the mysterious Cobra Mortal, he employs Cobra Letal and the deadly saboteur Crimson Asp (NEW female character). Their specialized troopers include: Cobra Frag-Vipers x 3, Cobra S.A.W.-Vipers x 3. Each of these great teams comes with their classic weapons, accessories, figure stands and file cards in this exciting fifteen figure boxed set. Whoa! 15 FIGURES? 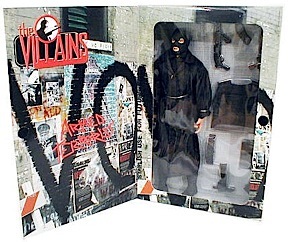 This set is bound to become a HOT collectible among fans of the RAH figures. 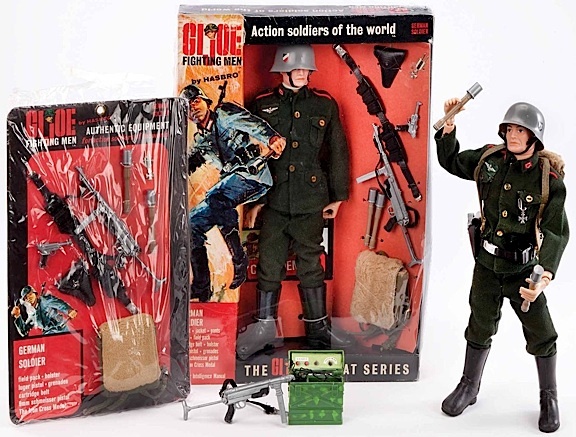 Whichever GIjOE-size you prefer (and many fans collect BOTH), these convention exclusives sound like they’ll make AWESOME new additions to your Joe Room. For complete information on convention activities and attendee packages, go to THIS PAGE, then click on the “Information” button and download (or preview) the free PDF file. Go, JOE! So. There you have it. 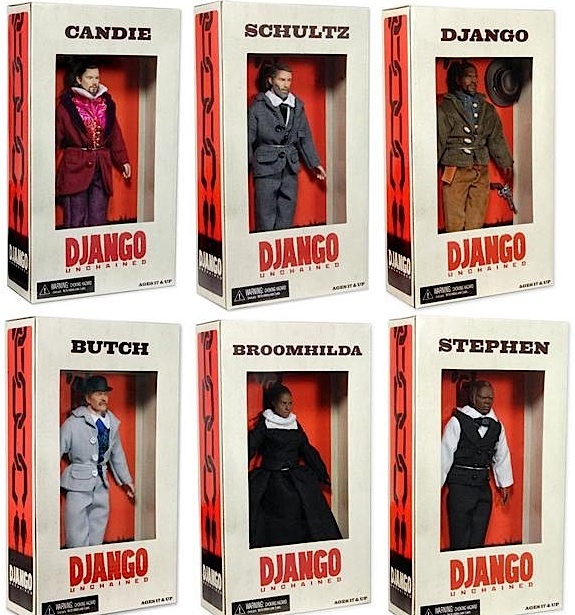 Whether you support the decision or not, imagine if you were one of the toy’s creators; one of the graphic artists, sculptors, costume designers or publicists who worked (probably for many months at least) on producing the line. How would you be feeling about now? Confused? Embarrassed? Outraged? 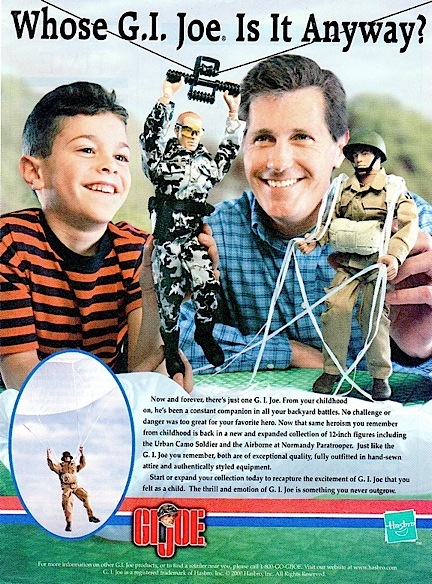 Of course, such toy-centric controversies are not unprecedented. 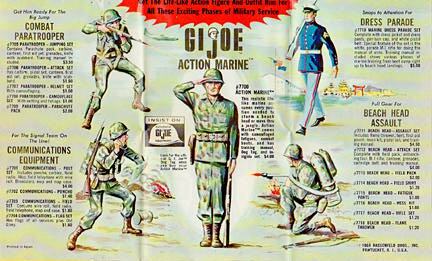 GIjOE fans with long memories will recall that Hasbro expected to receive similar heat for its 1960s “Soldiers of the World” line. The line consisted of a French Freedom Fighter, British Soldier, Australian Soldier and Russian Soldier, PLUS two more figures which were WW2 Axis enemies, a Japanese Imperial Army Soldier and a German Wehrmacht Soldier. GIjOE has always needed a wide variety of “bad guys” to fight. Without Nazis or COBRA, Terrorists or Mad Bombers, Joe would just be sitting around his headquarters (not very heroic or interesting). 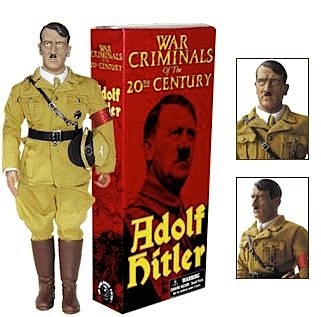 Over the years, most of the “worst of the worst” of humanity have been produced and sold as action figures—yes, even Adolph Hitler. And then there were the accidental, tampered with and unintendedly misused toys. Remember the foul-mouthed Bratz and Barbie dolls? Or the infamous Breast-Feeding Doll? How about Harry Potter’s Vibrating Broomstick? WHEEE!!! 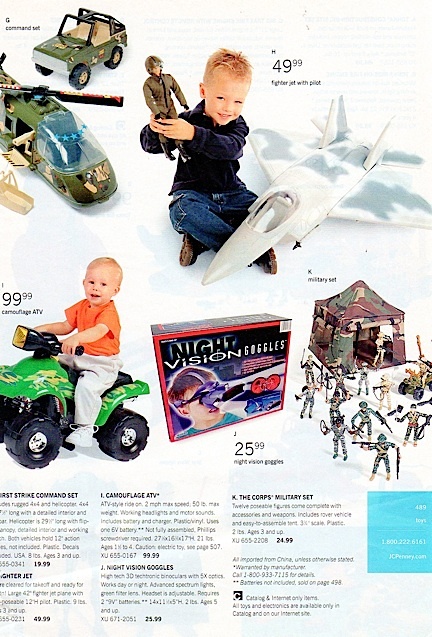 These “controversial toy” lists can go on and on. Bottom Line: In a free-market, capitalistic society, products will always be made to meet diverse consumer tastes and preferences. But manufacturers can’t please everyone and they know that. They know that each new product is a gamble and the chips will fall where they may. “Good toy, bad toy, inappropriate toy,” that sort of judgement ultimately rests in the eye of the beholder. When someone doesn’t like something, they don’t buy it. The public “votes” with their pocketbooks, and their voice is heard loud and clear.